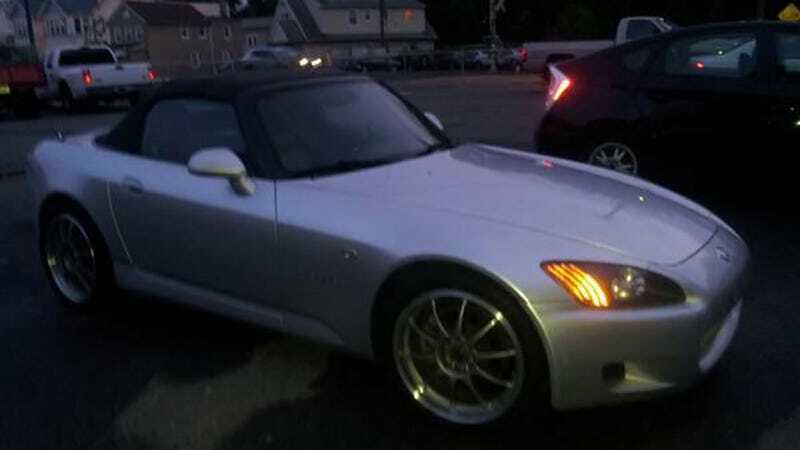 If this Craigslist posting is to be believed, a man in Holyoke, Mass is selling his Honda S2000 because the guy he snitched on is getting out of jail and the seller needs to get out of town as soon as possible. 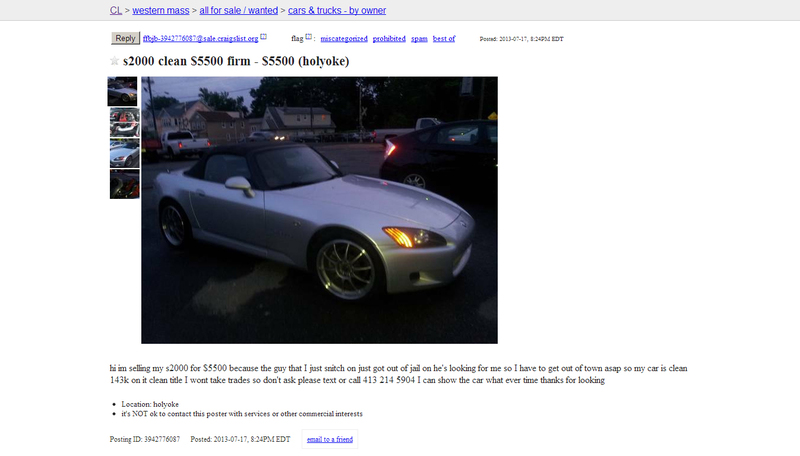 Here is the text from the listing, as the original CL posting is sure to be removed sometime soon. I mean, I guess that's a very valid reason to want to get rid of your car. You can see a saved copy of the original listing right here for when the post gets taken down.